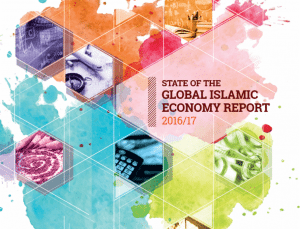 A plethora of reports have been proliferating as of late, putting the global spend of the Muslim population – across the various sectors – at just under $2 trillion ($1.9 trillion) in 2015. 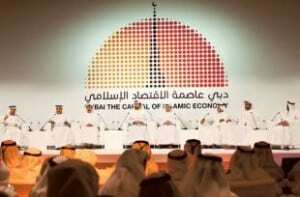 At $1.17 trillion that same year, the lion’s share of that spend goes to the food and beverage sector, according to the State of the Global Islamic Economy (SGIE) report 2015/2016, commissioned and supported by Dubai Islamic Economy Development Centre (DIEDC) in partnership with Thomson Reuters. As Muslim populations around the world grow, so does their demand for halal food – that is food (particularly, meats) that is compliant with Shariah on a number of parameters, including its source, the cause of the animal’s death, and how it was processed. To be sure, the report goes on to estimate the global halal-certified food and beverage market to be worth $415 billion in 2015. The market is set to grow further as halal food offerings become more mainstream – both in Muslim-majority nations and elsewhere – and as innovations break ground on new sub-sectors within the market. Innovative offerings are coming into the picture such as the Ramadan Energy Bar, an innovative new snack bar to help fasting Muslims maintain energy from dawn to dusk. The bar was developed by Fajr Foods – based in the UK – and has been “clinically proven” (according to the manufacturer) to control blood sugar for up to nine hours and sustain energy. Additionally, the SGIE report revisits the Halal Food Indicator (HFI) to evaluate a country’s halal food ecosystem. The HFI ranks countries not on the strength of the halal food sector itself, but rather on the potential that the sector has for growth in each country’s existing economic and social ecosystem. The 2016 rankings saw the UAE climb to the top of the market with a sector score of 75, followed by Australia (63), Pakistan (56), Brazil (56), and Malaysia (55). Half of the top 10 countries were, in fact, GCC nations: aside from the UAE, Oman came in sixth place with a sector score of 54, while Saudi Arabia (50), Bahrain (45), and Qatar (45) came in eighth, ninth, and tenth place, respectively. Also on the top 10 list was Somalia, coming in seventh place with a sector score of 51. Being one of the very first sectors to venture into Shariah-compliant business territory, the halal food market is maturing and attracting ever growing equity investment, including a $30 million investment in the UK’s Janan Meat (a leading UK-based halal lamb and mutton supplier) by ESP Capital and Kingsley Capital Partners, not to mention the fact that Malaysia’s Dagang Halal has undertaken an IPO on the London Stock Exchange. On the same note, Abraaj Capital and Texas Pacific Group invested $400 million in Saudi Arabia-based fast-food chain Kudu. What is more, international accreditation bodies have been established to oversee individual certifiers and regulate the growing and increasingly complex market. This makes the Halal food sector one of the veritable cornerstones of the Islamic economy and its main and largest pillar.